I have a Book Of Shadows a journal that I write in. I keep it under lock and key and curse. And in my Book Of Shadows are the tales of all my longings. Neatly written and embellished with each verse. Each night I light a candle and place it by my journal. I burn a stick of incense, then I do my work. I tell my Book of Shadows just how much I need you. Me and my book must hide my little quirk…Oh! Curiosity killed the cat but I would not go there if I were you. She was a bad girl…I’m not like that. 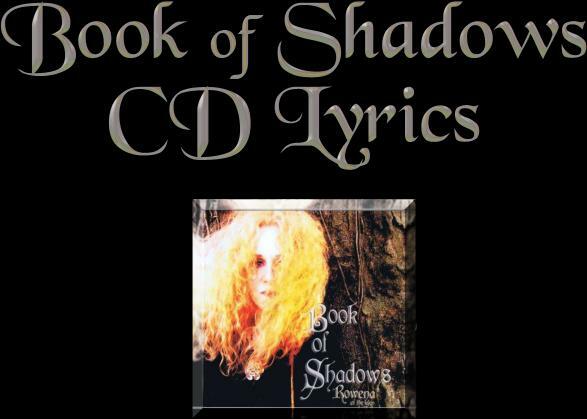 I have a Book Of Shadows…It’s where I keep my secrets. I write them all in pros and cons and schemes. I love my Book Of Shadows…It’s the place of my true magick. It holds all my desires…how I drink in your laughter. The way I love to kiss you on the dimples of your cheeks. And lots of other good stuff that’s so shocking and delicious. Makes me shudder just to think that you might peek…Oh! Curiosity killed the cat, but I would not go there if I were you. She was a bad girl for killing that cat!